A man who seriously injured a woman and her cousin by throwing acid into their car has been jailed for 16 years. Resham Khan and Jameel Muhktar had been out celebrating Ms Khan’s 21st birthday on 21 June when they were attacked in Beckton, east London. 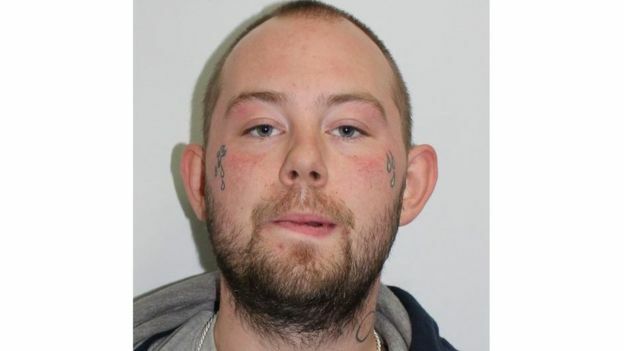 John Tomlin, 25, of Colman Road, Canning Town, admitted intentionally causing the pair grievous bodily harm. Ms Khan told Snaresbrook Crown Court her birthday “turned into a day where my face was taken away from me”. “I have been looking at myself in the mirror it upsets me, it brings back the incident on the day, it doesn’t look like me,” she added in her victim impact statement. Sentencing Tomlin, Judge Sheelagh Canavan said the injuries were “dreadful and life changing”. Ms Khan, a Manchester Metropolitan University student, suffered face and neck injuries and was left with damage to her left eye. She will carry lifelong scars and has suffered from severe depression and anxiety as a result of the attack, the court heard. Mr Mukhtar, 37, who had to be placed in an induced coma, has permanent scarring to his head, neck and body and has lost hearing in one of his ears. In his victim statement he told the court he suffers from depression and has tried to take his own life. “I get flashbacks and am really worried to leave my house, constantly looking over my right shoulder fearing attacks,” he added. Tomlin hurled acid through both front windows of the Renault Clio as it pulled up on Tollgate Road. He was seen on CCTV chasing after the car and emptying the bottle of acid over Mr Muhktar as he sped away. Witnesses described seeing the victims “jumping around as if they were on fire” in the road as their clothing “literally melted off them on to the ground”. Tomlin was arrested after handing himself in to the police a month after the attack and said in a police interview that he was “hearing voices in my head”. The victims had “no previous dealings” with their attacker and Judge Canavan previously described the assault as “somewhat random”. Speaking outside court, Mr Muhktar branded Tomlin an “animal” and a “coward” and said he “deserves the death penalty”. “The sentence isn’t long enough, my life has finished, I’m in continuous pain, I can’t sleep and I can’t eat,” he added. Helen Taylor, from the Crown Prosectution Service, said it was an “appalling attack that left the victims with physical and psychological scars”. “This case serves as a warning of the harm acid can cause and that those who use it as a weapon can face significant prison sentences,” she added.